Buzzers, if you watched the hunger games you must be falling in love with Katniss Everdeen. Jennifer Lawrence plays her character beautifully as her innocence face with a strong character make this film even more unique. 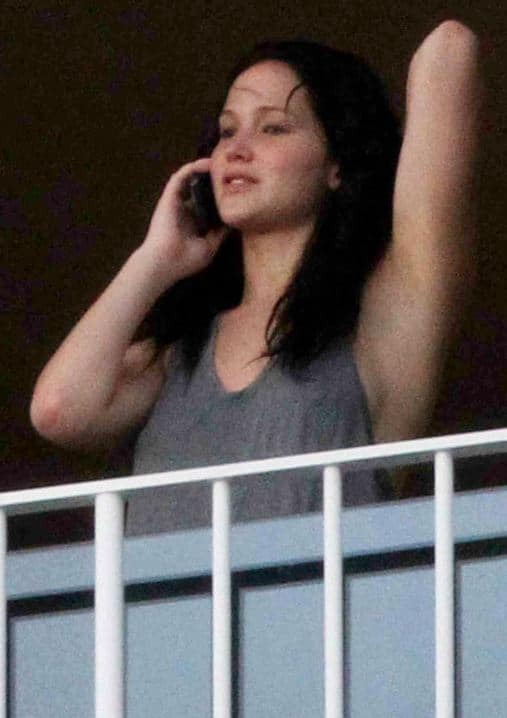 But, who knows in real life Jennifer Lawrence is as cool as Katniss. She is brave and never afraid to show her quirky side along with her comfy street style. Jennifer probably the most comfortable yet down to earth actress you have ever met! It almost feel like she is the girl you know next door…so Buzzers here is her top 10 comfy style you need to see. #1. Go easy and lay back on Sunday morning is not a sin even for a celebrity! #2. Jeans is American’s favorite since 1873!! #4. A very chic yet in a budget! Only need black midi dress, a long white jacket and sunglasses!! #5. Every girls always fall in love with her hottest detail…a leopard print loafers! #6. Statement shirt never go out of style! It’s cool!! #8. Who said big grey sweater only for a granny? Previous article These TOP 15 Funny Memes Make Your Parents Stop Asking You About Marriage & Kids!! These TOP 20 Men Slay in High Heels Better Than Your Woman!! TOP 20 Fashion Fails You Should Never Ever Wear! These TOP 15 Make Up Fail Will Force Your Boyfriend To Leave You! Rita Ora Worst Ugliest Dresses Ever That We Hope to Stop in 2019!